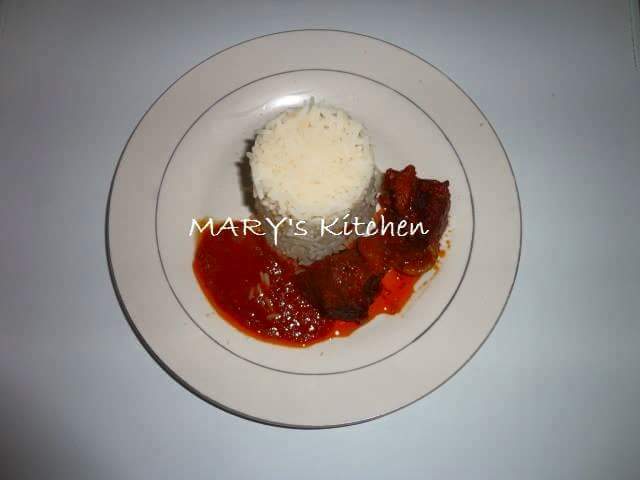 It’s White Rice and Beef stew for lunch. . .served with a glass of chilled watermelon-pineapple juice!